Ormeus Coin – What is Cryptocurrency Mining? Cryptocurrency mining is mostly a new term to people and some even confused it with mines where coal is produced. This term is related to bitcoins that have become very popular in the market recently. In order to understand cryptocurrency, you first have to understand how bitcoin transactions work. Ormeus Coin – The meaning of cryptocurrency mining? Ormeus Coin is a leading name in North America in the arena of cryptocurrency mining in the USA. This process is the procedure of conducting bitcoin transactions across the world. Cryptocurrency mining is secure and can protect you from frauds. For instance, when you give money to another person via the banking system, the bank will record the details of the transaction in the ledger. Likewise, in the case of bitcoin transactions the transaction is recorded in the blockchain- this is the name of the public ledger of bitcoins. People are generally not aware of how the confirmation of bitcoin transactions take place. This is the main reason why people deter from it. The experts here say that awareness about bitcoin transactions is the need of the day to get people to use them. These transactions do not suffer from security threats. The validation of every bitcoin transaction is done by miners and not people. 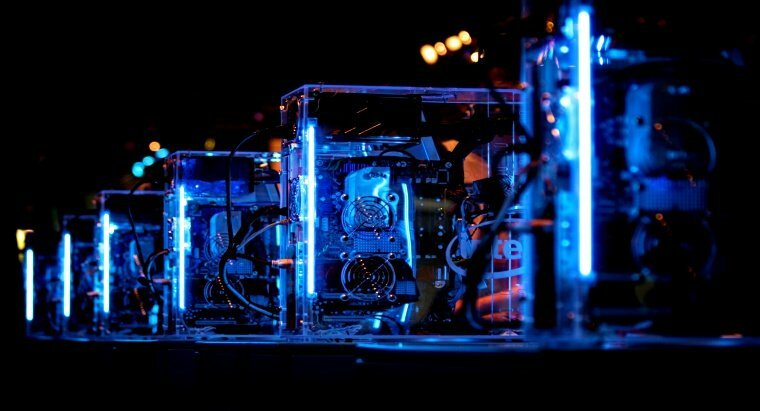 The term miners do not refer to coalfield miners- they are computer systems connected with one another in a network called node. These miners validate each and every bitcoin transaction that passes through them. This means there is not a single confirmation of the transaction being done- it is done through a series of validations or confirmations that make the system foolproof from any kind of fraud or theft. The confirmation is done through a series of credible validations where the transaction is later transformed into a code that is unique in the system. This code called a hash cannot be hacked and there are no risks of people losing their financial information from online hackers ready to steal data from them online. For instance, take the example of a typical online ecommerce transaction. You visit an ecommerce website online and like a product. You can either buy it with cash or your debit or credit card. Now, when you are making the purchase with your credit or your debit card, you need to enter the card details. The information generally asked is the card no, its expiry date and the CVV number. In the case of a bitcoin transaction, no financial details are asked. Every bitcoin user has a private and public key for the transaction. In order to authorize the transaction, both the public and the private key needs to be used. This means there are no risks when it comes to the data being stolen. The transaction is completely safe and secure say the experts here at Ormeus Coin. This means you are not at risk when it comes to your data being stolen by hackers online who are on the lookout for gullible people.